Hoover Fence and Deck. Fence and deck installations in the Hoover, AL area. 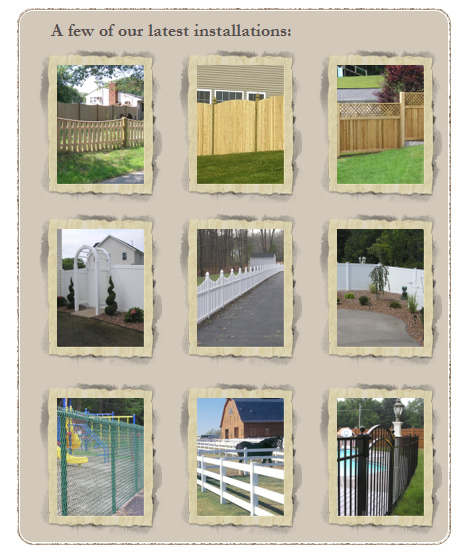 Hoover Fence and Deck is Hoover, Alabama's leading fence and deck installation company. With many years of experience, you can depend on us for all of your fence needs in the Hoover area, for both homes and businesses. We here at Hoover Fence and Deck are dedicated to providing all of our customers the highest level of customer service. We work with only the highest quality materials for all of our fence installations. We have highly trained professionals on our installation team. You can expect professional, courteous service from start to finish with every fence project that we do in the Hoover area. We will work closely with you to make sure that you get the perfect fence for your property. We have installed all types of fences, and will make sure that you are truly happy with your new fence installation for your Hoover property. Hoover Fence and Deck has professional consultants that will walk you through the process of deciding which design will best suit your project and budget. Following your approval, the construction crew begins work. We'll always maintain job site cleanliness - we clean up as we go. Our craftsmen will give your job their undivided attention until it is completed to your satisfaction. You'll discover that our products and expertise are a great value, at a very reasonable price. Our overhead is kept as low as possible to ensure you an unmatched price!!! We offer excellent service, quality products, and we pay careful attention to details. We install fences and decks in Hoover and surrounding communities. We offer high quality fence installations for homes and businesses. We can install residential gates and automatic gates, but we can also install commercial gates and automatic security gates for businesses as well. It's always a good time to install some pool fencing too! Protect your family and pets, and make your pool area even more beautiful! You can count on Hoover Fence and Deck for all of your custom gate contractor needs in Hoover and surrounding areas. We will be glad to answer your questions and schedule a free no-hassle estimate. Give us a call today.